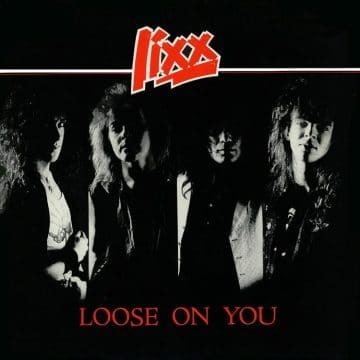 UK sleaze rockers Lixx‘s Loose On You EP has gotten reissued by Demon Doll Records and contains six bonus tracks. “UK Sleaze Rockers LIXX has teamed up with The DDR Music Group & Metal Legacy Records to finally unleash the reissue of ‘Loose On You‘ as well as six bonus tracks. This album has never been released on CD in any capacity so to call it rare would be an understatement. The press was similarly effusive with praise for the LP. Kerrang’s Richard Heggie saw ‘Loose On You’ as ‘one of the most accomplished indie debut albums you will ever encounter’ with the review comparing Lixx to Kiss, Guns n Roses, Faster Pussycat, Mama’s Boys and Bon Jovi. Metal Hammer claimed the band shared DNA with Wolfsbane, the Quireboys, and Zodiac Mindwarp and concluded their review saying that they heard ‘half-a-dozen reasons why Lixx could be at the front of the UK hotlist’. Now for the first time ever, the album including six bonus tracks is finally available on CD. This album has been digitally remastered and comes packaged with an 8 page booklet with a full set of lyrics. You can listen to samples of the reissued Loose On You EP and purchase it at the Demon Doll Records‘ website.